It seemed no property was safe from licensing for a fighting game, no matter how seemingly ill-suited. 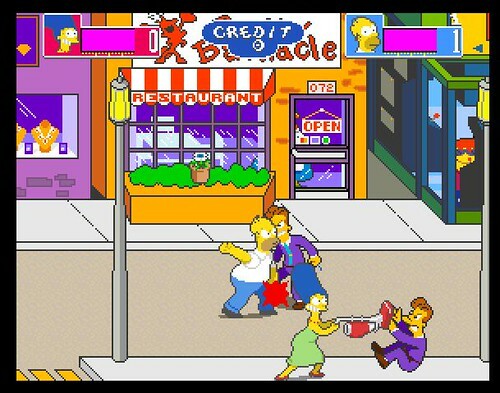 Screenshot from the classic The Simpsons: The Arcade Game, which tasks the other members of the Simpsons with saving Maggie, the family baby. 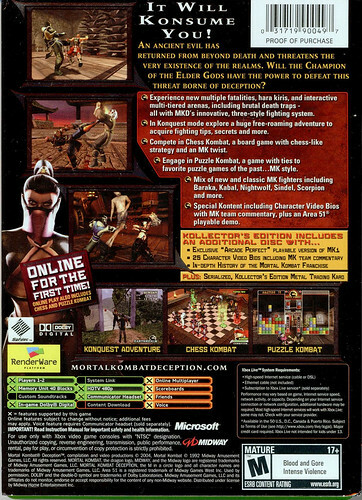 Box back from the Microsoft Xbox version of Mortal Kombat - Deception: Kollector’s Edition (2004). Midway, like Capcom, has tried to keep its marquee fighting franchise relevant in the era of 3D fighters. 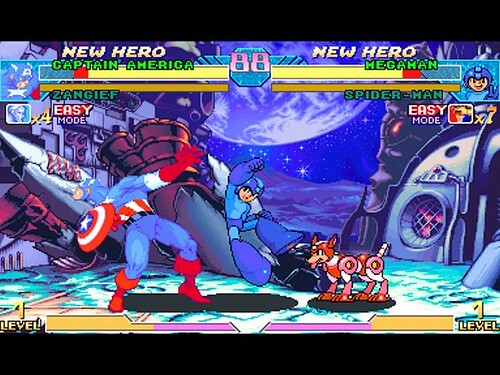 Screenshot from Marvel vs Capcom: Clash of Super Heroes, depicting a battle between Marvel’s Captain America and Capcom’s Mega Man. 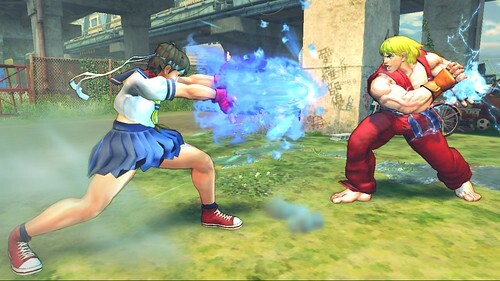 Screenshot from Street Fighter IV. 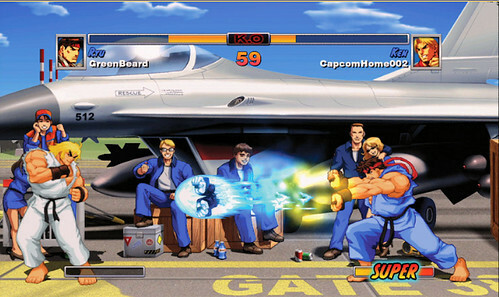 Super Street Fighter II HD Remix (2008; Microsoft Xbox 360, Sony PlayStation 3), has been called a "flawless" fighting game by critics and players alike. Capcom's hit game takes the key mechanics and timing from the classic earlier titles and updates them with high definition visuals and the ability to fight online. Namco's Soul Calibur has proven to be a popular weapons-based fighting series. 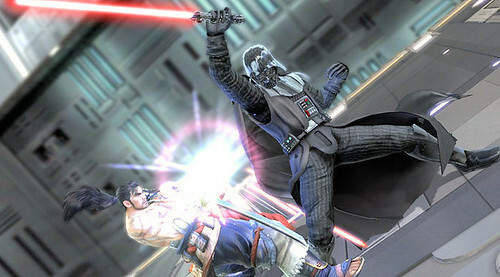 Screenshot from Soul Calibur IV (2008; Microsoft Xbox 360, Sony PlayStation 3), featuring science fiction pop culture icon, Darth Vader. 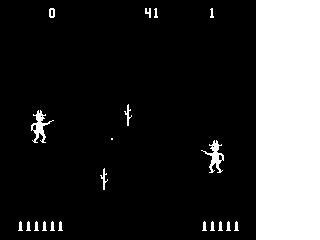 Midway's arcade title, Gun Fight (1975), though not really a fighting game in the traditional sense, was still one of the earliest one-on-one combat games with recognizable characters. The basic concepts in Gun Fight inspired many clones for early videogame consoles and computers.